Over the summer two trades changed the landscape of four teams, and two front offices. Both have been criticized as lopsided deals, and jobs are clearly on the line now. One element of the trades that weren’t as heavily discussed were the dismantling of analytic departments in Edmonton and Montreal. A TSN morning show did an extended segment on the topic with guest Travis Yost that’s definitely worth a listen. 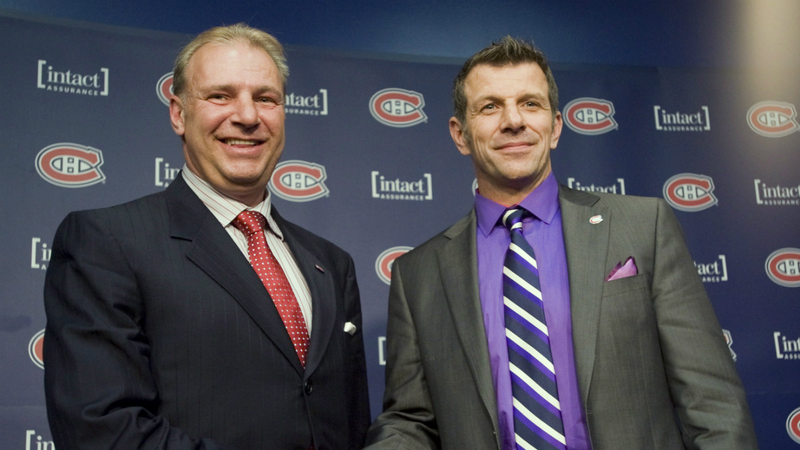 The Oilers and Canadiens dumped two staffers that were specifically brought in for advanced hockey input. Leaving some to believe that the blockbuster trades split both organizations. Yost suggests that statistical analysis never really had an impact in Montreal or Edmonton anyways. But all of this back and fourth about the proper use of enhanced statistics has got me thinking. How will Las Vegas utilize analytics? New GM George McPhee told the SinBin.vegas last week that he would eventually hire an advanced stat department. He referred to analytics as “another club in the bag.” So while we know it will be a part of the new organization, exactly how big of an impact it will have, we’ll have to wait to find out. However, some teams are completely turning the pages of the old way of scouting. Teams now want to use the enhanced stats that are available now. Basically, stats like Corsi, Fenwick and PDO… You know geek stats. Teams like Florida, Arizona, and Carolina have all dedicated part of their organization to metrics. Will Las Vegas and George McPhee do the same? The Panthers might be the most interesting case of statistical dependency. Florida had a fantastic season but surprised everyone when they “promoted” GM Dale Tallon, and fired long time scout Scott Luce. Both men are highly respected, but time had run on their system. The Panthers promoted Tim Rowe to GM, and brought in some other mathematical stalwarts to analyze the current roster. It didn’t take long before the new leadership made a surprising trade. The Hurricanes, and Coyotes brought in the same type of hockey minds. As for Las Vegas, you would think some, if not a lot, of advanced analysis will be considered when scouting players. This is a new organization that will have to claw it’s way through the first few seasons. If McPhee can find an edge through analytics and metrics than according to Yost and others, Las Vegas is on the right track. Again, teams that ignore the data are the same teams that consistently miss the playoffs. Most teams have a statistical analysis department, but some are for show. Much like in Edmonton and Montreal. McPhee told us he will certainly develop an analytics branch, but he’s a guy that’s been around the game for a long time, so it’s tough to tell how much he’s adapted to the new analytical style of thinking. Being the fine drafter, and cap strategist McPhee is, he’ll find players with high hockey IQ’s. A phrase, that all stat guys love. Maybe McPhee can hoodwink an old, out of touch, front office like Montreal or Edmonton and steal the next Tyler Seguin or Taylor Hall. I understand the “game analysis” has changed. And believe that advanced stats have a place in sports, but to exclude the eye test from being part of the analysis is dangerous.